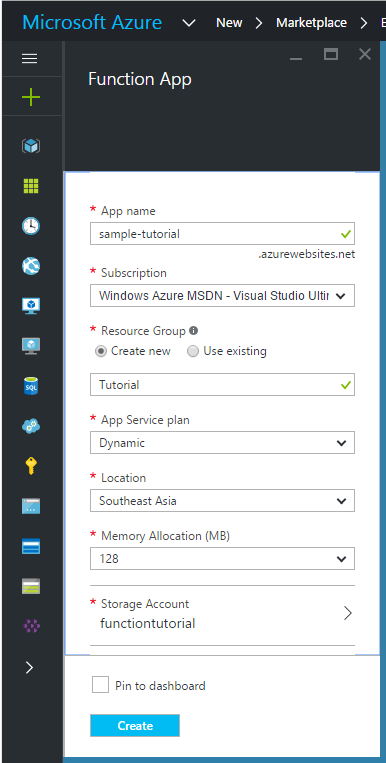 In this post we will look at creating a new Azure Function App and explore a provided example. 2. fill in the details of your new function. Keep in mind, the app name is unique across the namespace, which means, you will not be able to use the same name as I used here in this tutorial. Now you are ready to experiment with Azure Function App. Go ahead and explore the samples provided. 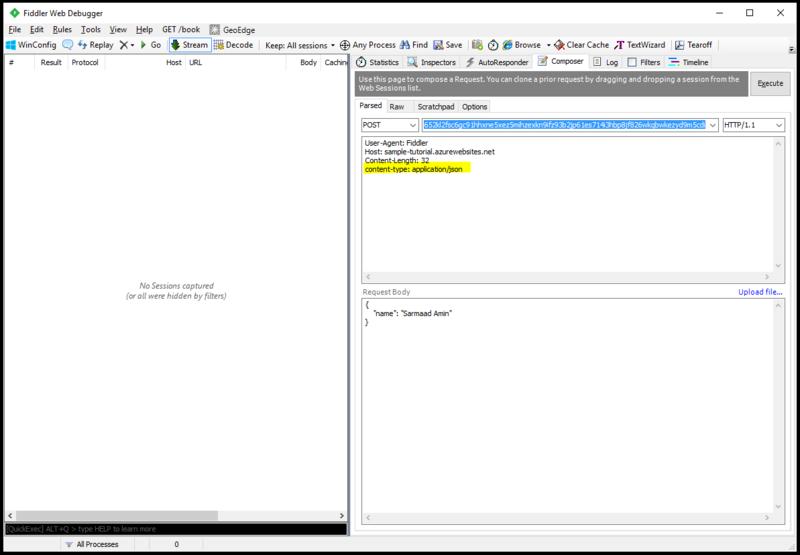 Here, we are going to examine a sample under Webhook + API scenario using C# as our language. We can run the function online by scrolling down the page to the Run section and test our newly created function and click Run. 1. copy the Function Url from the sample function. 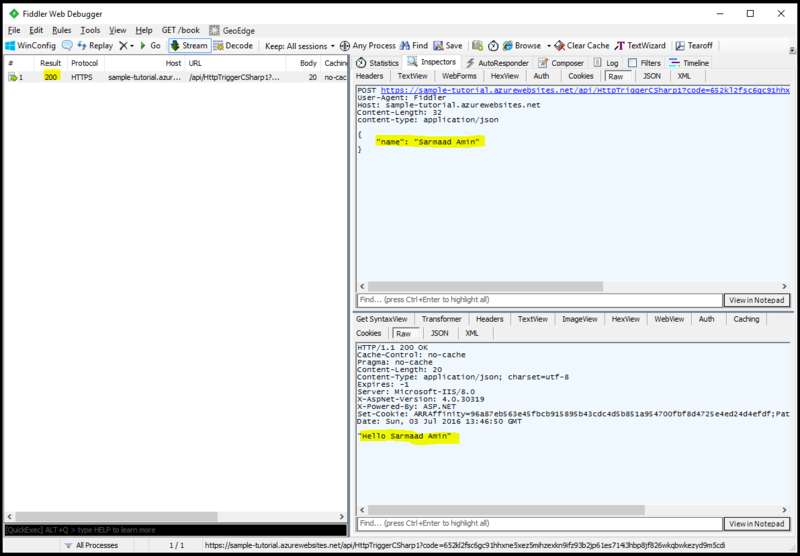 Now execute the request and you should get a result of code 200, bellow showing both raw request and response. 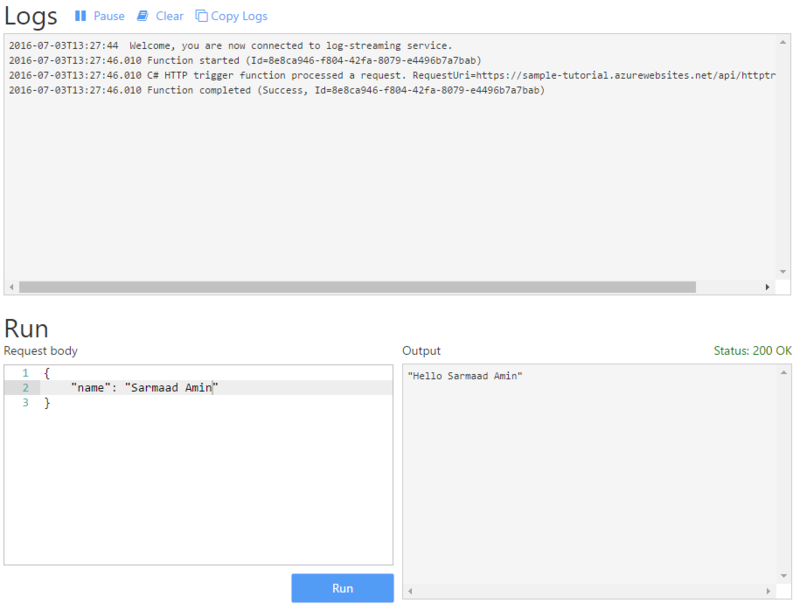 In this tutorial we have seen how to create an Azure Function App, create a sample function and run the function both online and from a desktop application. What is really significant here, there was no server to provision, no code to compile and no configurations to enable API endpoint. 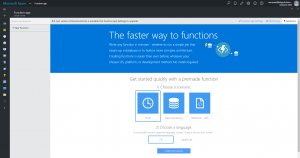 Azure Function can play a significant role in a (Micro)service solution focusing on single responsibility and agility in building a robust architecture. 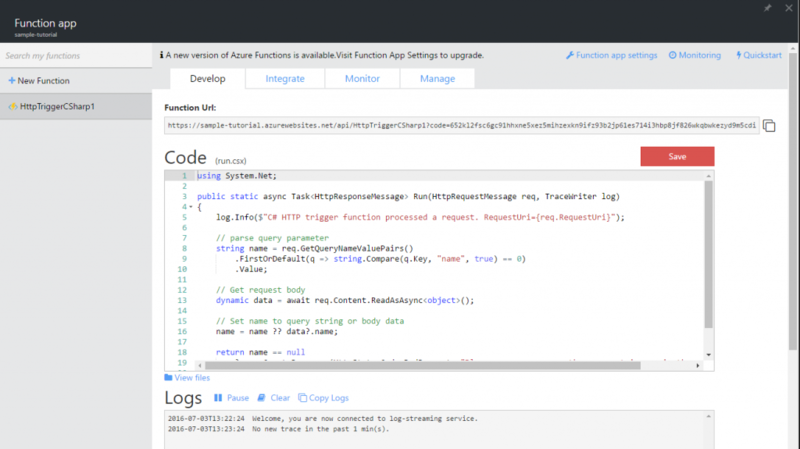 In the up coming posts, we will take this further in building a real life solution using Azure Function.